Flue-gas scrubber with internal baffles made of ASTM B463 Alloy 20 plates, Mexico. Metals-Piping has supplied 3 pieces of 1200mm(L) x 620mm(W) x 16mm(THK) Alloy 20 plates to a Mexican. The Alloy 20 plates are manufactured to ASTM B463, hot rolled and annealed. 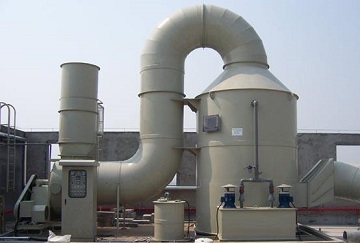 They are used to make the internal gas-distribution baffles for the gas-flue scrubber. Delivery: from Shanghai Port to Port Manzanillo, Mexico by sea.